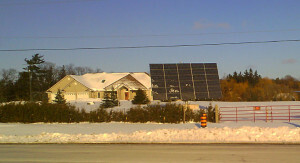 I was driving through a very nice, modern neighbourhood yesterday and noticed two homes had brand new solar panels on the roof. I liked them and I’ll bet a lot of homebuyers would pay a premium for solar-powered homes. A survey actually discovered that green friendly homes can grab a premium. All the houses on the street were attractive but these solar homes stood out. I’d say this will be a trend in 2018. Yet there’s many more reasons why solar still makes good sense. The future cost of electricity will be the biggest. 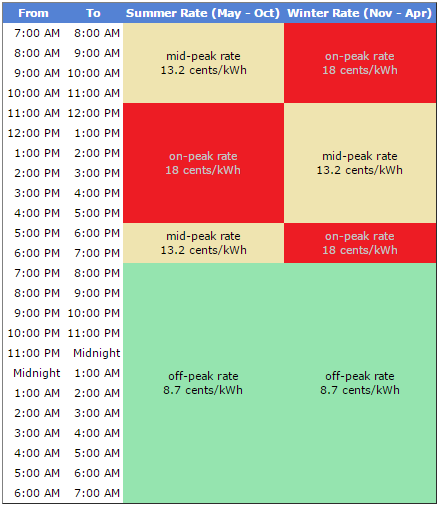 Check out the forecast of solar energy systems and the rising price of electric power below. Although new types of power generation are evolving, and natrual gas is cheap, there is no way they can keep up with demand in North America for electric power. And it’s one thing to generate electric power. It’s another to transport it to where it’s needed. It must be produced where it’s used. In 5 years when more electric cars are on the roads, the price of electricity will be painful. As you’ll see in the stats and videos below, home electricity prices are a big concern and homeowners may not realize what’s coming. The forecast is for rising prices. 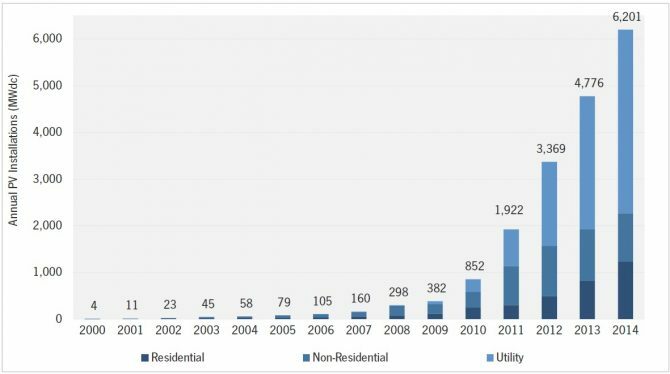 Will home solar power generation provide a shelter to the coming storm? A good example of the electrical power horrors ahead comes from Ontario, Canada where politics at many levels and greed are rocketing power rates. A cycle of political decisions have lead to a lack of new power generation sources and a poor commitment to alternative energy. Power generation is expensive here and the future looks a little anxious. In California, home owners are going solar before they retire. The province is heavily dependent on 3 nuclear power plants, however one is going to be shut down. Ecological ideology has closed all coal power plants too. A big gas powered plant in Toronto was abandoned shortly after it was being built. That resulted in a huge loss and debt for Ontario residents. Saddled with huge debt, the Ontario government is addicted to the revenue from power generation. Is it the same in California, New York, and Massachusettts? The Ontario Power Corporation sold off some jurisdictions where it monopolized power production. It sold pieces to private companies because it needed the cash (the current government is being sued by the people of Ontario). Although the industry is regulated in Ontario, there is plenty of opportunity for scams and gouging of consumers. And they’re happening. Sharing is good for your Social Health. Pass this post to your friends and family whether they’re looking for an exciting new career, or are retiring in a home that may be bad for their financial health. 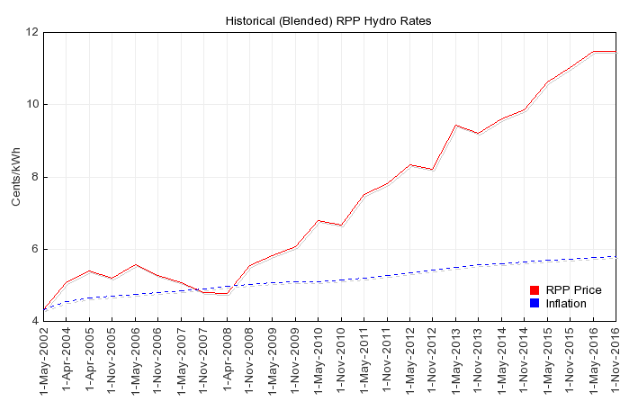 That’s an average increase in power cost approaching 270% over 16 years. In some cities, the per kwH electricity rate is around 27 cents during a good part of the day when homeowners including seniors use electricity. That translates to over 300% higher than normal rates. It’s no cheaper across the US. Here’s the 2015 electricity rates across all states (from the Nebraska state government) including very high rates for New York, New Jersey, Alaska, Hawaii, California and Massachusetts. 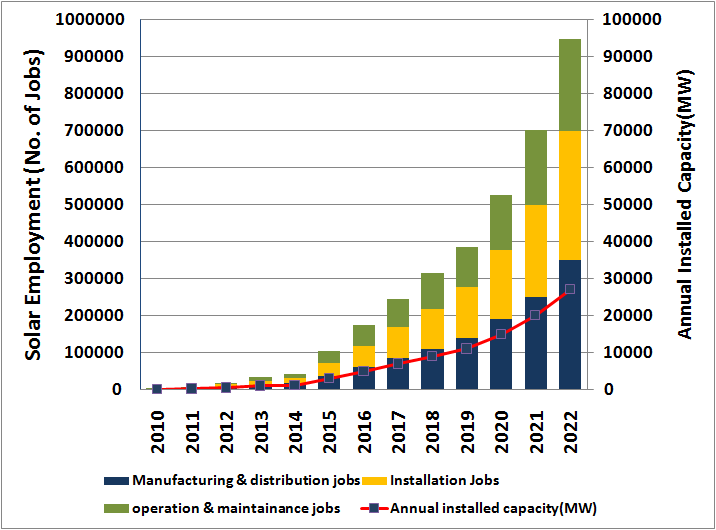 Given that demand will grow exponentially over the next ten years, the rate of power per kwH will balloon. There’s another reason power rates will jump. Governments are desperate for money and they’ll have to tax electricity at a higher rate. If there’s a drop in revenue from oil and gas, that will have to made up in taxes on electricity. Power is generally a monopolized industry, thus allowing power generation companies to pad their revenue and really put it to power consumers. They’re in it for profit and will find a way to leverage an oligopoly or monopoly. When haven’t companies used the opportunity to take advantage of consumers? Taxes, debt and profiteers will drive power costs through the roof. Where is the Demand for Electrical Power? Industry draws most of the power and as economies rev up, more power is drawn. And electric vehicles draw huge amounts of power. As more people buy electric cars, e-bikes, and ride in electric buses and taxis, the power rates will jump. Donald Trump is reviving coal powered power generation and that will help reduce the danger ahead. Yet it won’t be enough. It wasn’t enough to stop the rise before. Right now, it’s in expensive coal powered plants, marginally productive wind powered turbines, gas powered plants, solar farms in the desert, and nuclear power plants. Will nuclear plants save the day? Almost no one wants nuclear power (Fukujima). The potential for disaster is proven, and these plants leak out radioactive wastewater accidentally on a frequent basis. Geothermal is another big potential generator but the power plants are very expensive and politicians such as Trump are against more debt. America has trillions of debt already. The real solution will be to keep gas powered vehicles on the road. Because electric cars consume huge amounts of power, the actual demand for power across the U.S. is mind boggling. How many terrawatts will be needed? For homeowners, the savior is home solar power systems, yet people in Northern climates will be challenged to produce enough via solar. They’re more or less prisoners to traditional electrical production and its prices. We all enjoy the romantic picture of zero emission electric vehicles. So alluring to think of New York, Chicago and LA with no choking, health killing smog. Yet electric power vehicles, trucks, golf carts, bicycles and seniors scooters must draw power in big quantities. Someone is going to have to produce that power and transport it to places like LA, New York, Philadelphia, Seattle, Chicago, Toronto, Montreal, Boston, Vancouver, Denver, and St Louis. 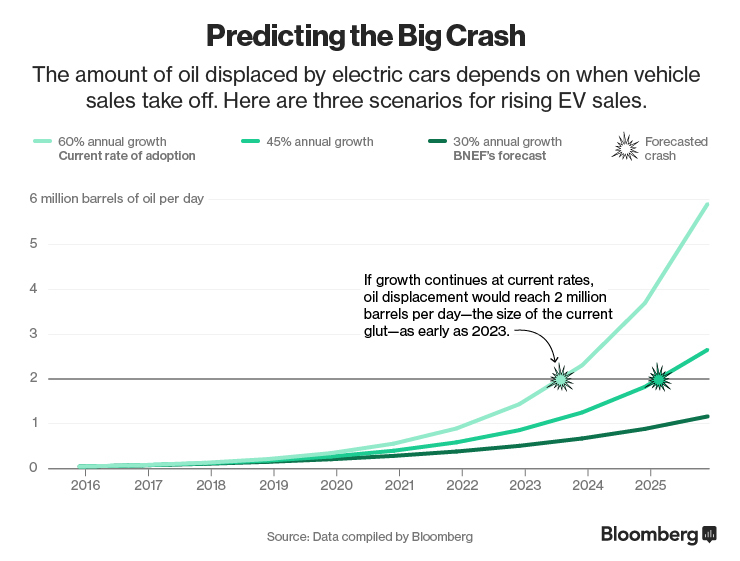 A recent post on Bloomberg.com tells of a coming crash in oil prices due to the rise of electric vehicles. It’s a fascinating article, however, it doesn’t discuss where all the power is going to come from to fuel these cars and trucks. 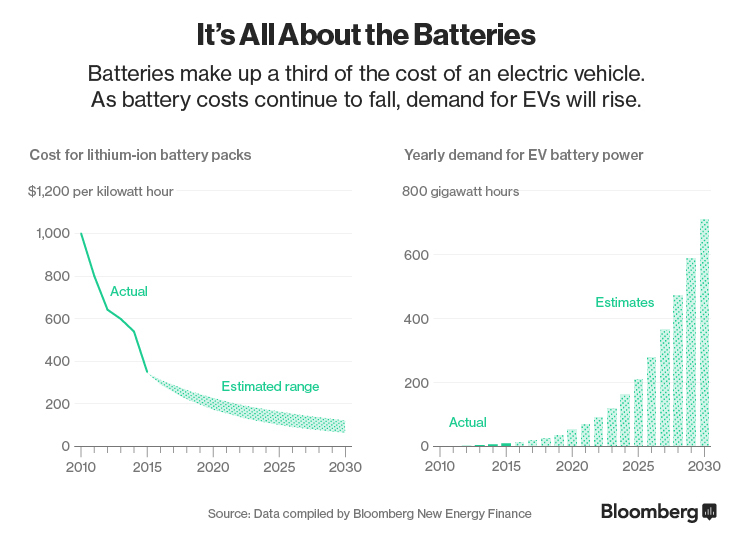 This graphic shows battery cost is falling which will accelerate sales of EVs. That’s when the demand for electricity will rocket. The power companies will become cartels able to get whatever price they want. Power transmission is a huge problem. Moving electricity across huge grids is expensive and there are huge power losses during transmission. And building power grids is very expensive. Instead, consumer will need to create their own power via roof solar panels. But hold on, people living in giant condo towers won’t be able to generate their own power. They will burden the demand more. Residential power users will need to shield themselves from fast rising electricity costs and they can do that by installing home solar power systems. That will solve their need for home electricity. But for their new electric vehicle (which are selling like hotcakes right now), the power rates will rise higher than gasoline. It takes a lot of power to move a 5,000 lb electric Porsche or a Chevy Bolt EV. This post on Edmunds.com shows the cost of recharging an EV. Right now, it’s a reasonable price and much better than gasoline, but down the road is where it gets pricey. So while the EV revolution promises to rid Americans of dependency on Middle East oil, it creates another dilemma. The growth in Solar power installations is impressive as you can see in this graph below. Commercial farms don’t do much for most residents who will still be prisoners to high prices. Here’s an indutstry to working in. 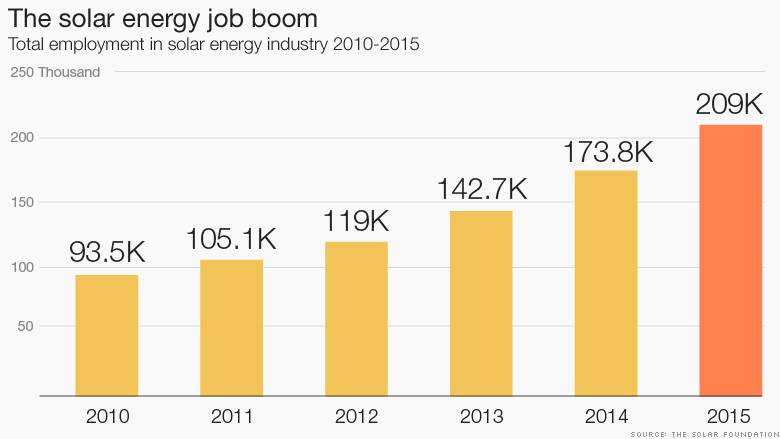 Tell your kids and nephews and nieces to check out the solar industry. It’s a great way to launch their own business and do very well. In times of crisis, opportunity appears. Homeowners without their own home solar power system will be vulnerable to very high electricity rates. 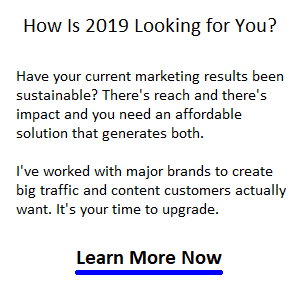 There are business opportunities and money saving opportunities here. Take a closer look and perhaps you won’t need to worry too much if you’re retired in Costa Rica.